Getting diagnosed with hearing loss when he was 22 was the last thing he expected. Leon, now 25, thought it was something which happened to the elderly. He was wrong. He had been experiencing a ringing in his ears (tinnitus) on and off since his late teens. But after playing the bass guitar at a concert in Toronto, Canada, in 2012, the ringing did not stop. At first, he thought it was just like his previous bouts of temporary tinnitus and would go away after about an hour. Consulting an ear, nose and throat surgeon when he returned to Singapore, he found he had noise-induced hearing loss, which was irreversible. This type of hearing loss is usually caused by exposure to excessively loud sounds. Leon's ringing in the ear is now always present in the background. He has learnt to tune it out most of the time. "The only time I really notice it is when I am sleeping," said the recent graduate of Nanyang Technological University (NTU). As he sleeps on his side, the ringing in the ear that is on the pillow is even louder because the pillow blocks out external noise. A recent survey of 375 university students aged 18 to 25 showed that one in three young people in Singapore is at high risk of getting noise-induced hearing loss, based on their listening habits. These include listening to music above the recommended safe volume of 85 decibels or 60 per cent of the maximum volume, and attending clubs or concerts at least once a week, where volumes can easily go beyond 100 decibels. The survey, done by a group of final-year NTU students in December and January, also found that almost all the respondents (96 per cent) were unaware of noise-induced hearing loss. Even more alarmingly, close to one-quarter of them had experienced hearing-related problems before, the most common being a ringing in the ear. Young people visiting clubs or attending concerts may not know the damage they are causing to their hearing, said Ms Catherine Chew, 22, one of four students involved in the survey. The final-year student at the Wee Kim Wee School of Communication and Information noted that nine in 10 interviewees said they had experienced some ringing in their ears after leaving clubs or concerts. But, in a separate interview based on the survey's key findings, eight out of 10 said they did not take any precautionary measures such as wearing ear plugs or taking breaks by leaving a noisy venue. Because everyone does it, people believe it is the norm to expose themselves to such dangerous levels of noise for hours, said Ms Chew. All said they would listen to music during their commute using portable music devices, and seven out of 10 are plugged in while studying. "Noise-induced hearing loss is an under-recognised issue among youth," said Dr Yuen Heng Wai, senior consultant in the department of otolaryngology at Changi General Hospital. But the condition takes a significant number of years, depending on the length and intensity of exposure, to develop, so those who frequented loud clubs or concerts in their youth may not seek medical help that soon. "We are not expecting people to come with the condition in their teenage years," he said. But he has been seeing a trend of more younger people visiting his clinic. Over the past three to five years, there has been roughly a 10 per cent increase in such patients year on year. The two most common causes of noise-induced hearing loss among his patients are occupation-related, followed by use of personal listening devices. Dr Yuen predicts that the availability of personal listening devices will cause an increase in noise-induced hearing loss among youth. "Many of them do not think that they are susceptible," he said. Take Ms Amanda Ling, who was 19 when she noticed that the usually temporary ringing in her ears was not going away. She was then a music major at Lasalle College of the Arts and was practising a couple of hours a day on the drums, timpani and marimba. "My hearing loss is entirely noise induced," said Ms Ling, now 31 and still hearing that ringing in her ears. She also figured that playing in her first band, Throb, which she joined in 2003, could have contributed to the damaged hair cells in her ears as well. 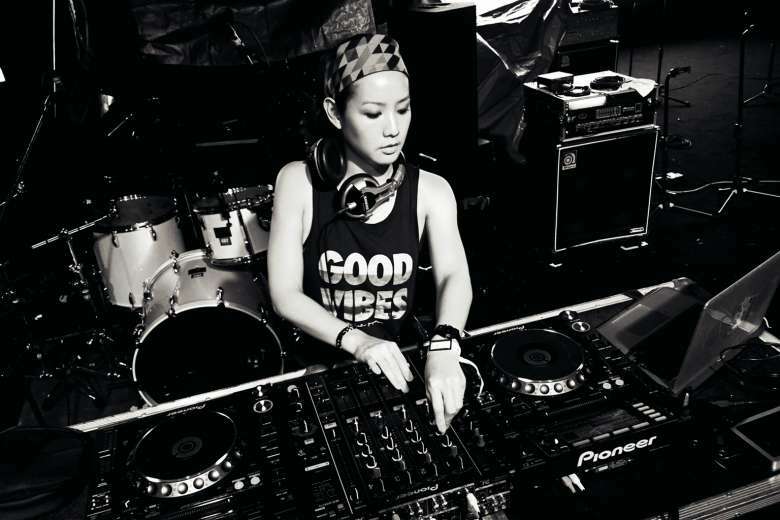 "But when you are young, you think you can take over the world, you don't think that you could be vulnerable to this," said Ms Ling, who is also a yoga teacher and DJ. People with noise-induced hearing loss have difficulty hearing high-frequency sounds like the chirping of certain birds or the ticking of the clock, said Dr Barrie Tan, director of the Centre for Hearing & Ear Implant at the Singapore General Hospital (SGH). This is because such hearing loss usually adversely affects the high-frequency portions of the cochlear (inner ear) rather than the low-frequency portions. Some patients tell of not being able to hear the reverse sensors of cars, or the whistling of kettles, which may have an impact on safety, said Dr Tan, who is also head and senior consultant in the department of otolaryngology at SGH. The department sees 10 to 20 cases of noise-induced hearing loss a month. These patients also may not hear parts of certain words clearly, like the "f", "sh" and "th" consonant sounds and end up having to ask for sentences to be repeated. Most people with hearing loss will find that noisy places are the hardest to listen in. That would be a good early sign of hearing loss, said Dr Tan. They may also raise the volume of electronic devices at home so as to hear better, and these would include the TV and sound systems, often to the displeasure of family members, who complain that the volume is too loud, he added. Since being diagnosed with noise-induced hearing loss, things have changed for Leon and Ms Ling. Their listening habits are different now. Leon does not listen to music as loudly as before and he has stopped playing gigs. Also, if he is in a noisy bar, he would go outside every half an hour or so. Ms Ling uses a special set of ear phones for jamming sessions, rehearsals and gigs which lets her control the volume. She also limits her headphone usage. "I wish I was more aware of safe listening habits when I was younger. I would have used ear plugs when jamming," she said. Note: The survey was part of a final-year project campaign called "Down the Sound" by NTU students. It aims to raise awareness of recreational noise-induced hearing loss among young people and to keep it at bay by advocating safe-listening habits. Go to www.downthesound.com for more information.